100 1 %a Norris, Kathleen %d (1947- ). 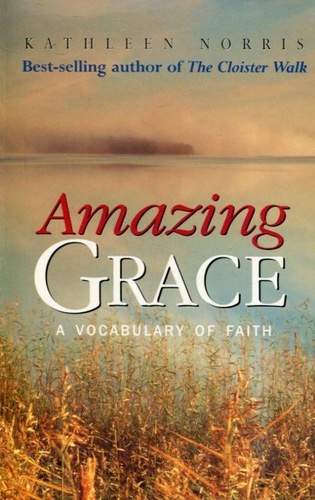 245 1 0 %a Amazing Grace : %b a vocabulary of faith / %c Kathleen Norris. 260 # %a Oxford : %b Lion Publishing, %c 2001. 300 %a 400 s. ; %c 20 cm.